The Balcatta Senior High School Student Services team primarily works to improve the social and emotional well-being and health of all students. The team is committed to establishing effective pastoral care practices that will best contribute to students’ well-being and support academic achievement and progress. Parents and guardians are welcome and encouraged to make contact with a member of the Student Services team to discuss any of these matters. Student Services Manager – Behaviour, attendance, interagency and community support systems and pastoral care programs. Year Co-ordinators – Pastoral care, student councillors, positive rewards, uniform. School Psychologist – Student well-being and parent support. School Chaplain – Holistic student support and somebody to talk to. School Community Nurse – Health Education support for staff and students, community education and student health, emotional and physical support. Merrilee Wong is the Chaplain at Balcatta Senior High School. 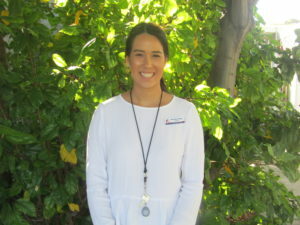 Merrilee commenced her duties at the beginning of Term 2 and finds it a privilege to be able to work with students, parents and staff and looks forward to becoming more involved with the school community. Merrilee’s role is about building relationships, offering care and support to individual needs of the students and also helping meet the wider needs of the school. She has a vast amount of volunteer experience in working with teenagers through community development programs. Last year, she completed a Bachelor of Arts degree majoring in Psychology and Counselling. Merrilee is located in the Chaplain’s office in the canteen area and will be available every Tuesday and Friday.